But I’ve seen 2 things today that made me happy that I’ve got loads of other namesakes. First up is this Personas site by Aaron Zinman from MIT it searches the internets for you and your namesakes and creates a visual aggregation of their online identities. I think the final result is a bit of a let down (I’m sure Jonathan Harris could do some much more interesting with the data). But watching the other Simon Cook’s and things they are up to flashing across the screen was quite fascinating. Then I randomly went to see what Craig Robinson (Flip Flop Flyin’) was up to. 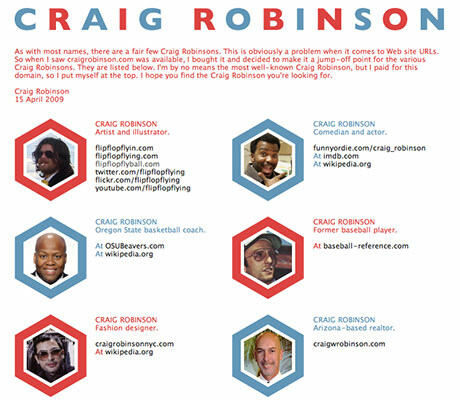 He’s snapped up CraigRobinson.com when it became available, and rather than use it himself, he’s made a site linking up all the Craig Robinsons out there! I love the idea, I think there should be a law that ‘name URLs’ should link up everyone that shares the name. I would definitely do the same if SimonCook.com ever became available. Aug 24	This entry was posted in General Web Stuff, Infographics, Personal, Websites & such like by cookie. Bookmark the permalink. I think a price that is ok for them probably won’t be ok for me! I think a bit of both, find who you can through google first and then let the rest come to you. That’s a really inspired idea. If I had the .com for my name I’d be very tempted to do similar. The only thing is, should you just list your namesakes without contact or simply allow them to submit their info to for listing? 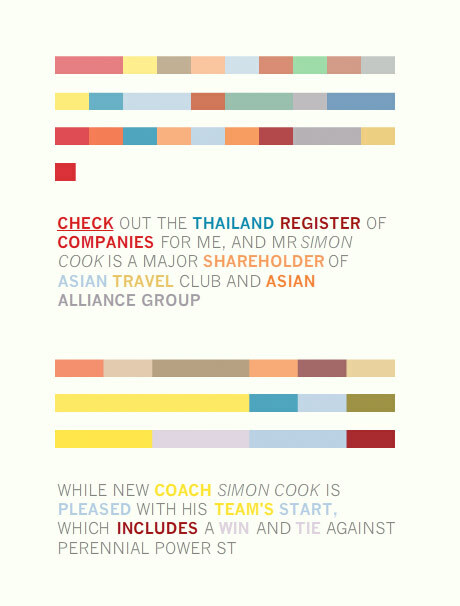 did you visit simoncook.com? Apparently is available if ‘your price is ok’!